(6) Reference to “Customer” means the Pharma Intelligence customer who is granted access to the Skill. The Skill allows you to use your Device to communicate with Pharma Intelligence by voice, regarding your Account(s) with us. To use the Skill, it requires that you speak into the Device, and responses will be received aloud from the Device through Alexa. Therefore any communication to Pharma Intelligence via Alexa will be treated by Pharma Intelligence as a communication authorised by you, and any communication from Pharma Intelligence via Alexa in response to a request received from your Device will be treated by Pharma Intelligence as a communication to you. You are responsible for all of the interactions with Pharma Intelligence via the Skill. For this reason it is imperative that you consult the agreements that you have in place with Amazon to ensure that you are using Alexa safely and correctly. Once you set up your Device with the Skill, you are authorising Pharma Intelligence to provide information to the Device which you will receive based on the Device’s security settings. This means that you are responsible for how the Skill is used on your Device, including any communication to or from Pharma Intelligence on your Device. Pharma Intelligence did not design or manufacture Alexa, your Device or any other software involved with Alexa or your Device. Pharma Intelligence therefore does not have any control over Alexa, your Device or any of the software involved. By accepting this Agreement, you understand and agree that Pharma Intelligence is not responsible for inaccuracies in your interactions with Pharma Intelligence via the Skill. 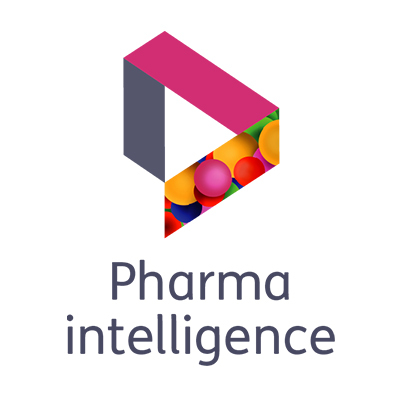 If you have any issues or doubts about the accuracy of your interactions with Pharma Intelligence via the Skill, you are able to access your Account(s) and details by either logging into your Account(s) on our website (www.pharmaintelligence.com) or through the Pharma Intelligence application. Pharma Intelligence is making the Skill available to Customers and it is possible that there may be viruses or malfunctions as part of this roll-out. In addition to the possibility that Alexa may mishear or misquote you, there is also a possibility that something might not work correctly, a virus may be introduced to your Device, or damage may be caused to your Device. By obtaining the Skill, you agree to accept these above-mentioned risks. Pharma Intelligence will not be responsible for any loss or damage caused by any viruses or other technologically harmful material that may infect your Device equipment or programs, or for any loss or damage to any data or other proprietary material due to your use of the Skill or to your downloading of any software or data from the Skill. By accepting these terms, you consent to the general use of electronic records and signatures in our relationship with you; for example, but not limited to, entering into new contracts, the provision of meter readings or the authorisation of payments. (3) have an Amazon account. In order for us to provide you with the requested information it needs to be sent from us to Amazon and is thereafter supplied to you. Therefore it is important that any information that you request from Alexa, you are happy for that information to be sent by Pharma Intelligence to Amazon. If you are unsure about what Amazon may do with this information, we would advise that you consult the agreements that you have in place with Amazon. We may seek your constructive feedback on the Skill, including problems that you may encounter, aspects that you find worked well, and any suggestions for improving it that you may have. You further agree that Pharma Intelligence may email you from time to time about your experience with the Skill. We may change, suspend, or discontinue the Skill, or any part of it, at any time without notice. We may amend any of these Terms at our sole discretion by posting the revised terms on the website at www.pharmaintelligence.com/alexa/terms/. Your continued use of the Skill after the effective date of the revised Terms constitutes acceptance of the Terms. Your rights under these Terms will automatically terminate without notice if you fail to comply with any of the Terms. In case of such termination, we may immediately revoke your access to the Skill. You must therefore immediately cease all activities authorised by these Terms, and you must immediately delete or remove the Skill from all Devices, immediately destroy all copies of the Skill and any related documents in your possession, custody or control and certify to us that you have done so. Pharma Intelligence will not provide technical or any other support for the Skill. If such support is provided in exceptional circumstances, it will be provided in addition to any normal support for your Account(s). You hereby agree to abide by any support rules and policies put into place. You assume all risk for your use of the Skill that it is provided “as is”. Pharma Intelligence expressly disclaims all conditions, warranties and other terms, either express or implied, including without limitation the warranties of merchantability, fitness for a particular purpose and non-infringement, and no advice or information, whether oral or written, obtained by you from Pharma Intelligence, or through or from the Skill, will create any warranty of any kind. Any claims that you may have with respect to the Skill, and your usage of the Skill, must be brought against Amazon and/or Alexa and not against Pharma Intelligence. If you do not comply with these Terms, and we incur any costs, loss, claims, expenses and other liabilities which result from your non-compliance, including a resultant breach by us of our obligations to Amazon and/or Alexa, you agree to reimburse us for any such costs, loss, claims, expenses and other liabilities, including any legal costs involved with the defence of any claim brought against us due to your non-compliance with these Terms. This is in addition to any other specific remedies that we have in these Terms or under the law generally. We hereby exclude any liability for any direct, indirect, or consequential loss or damage that you may incur in connection with your use or inability to use the Skill, Alexa and/or your Account, including, without limitation any damage to electronic devices, any liability for loss of income or revenue, loss of business, loss of profits or contracts, loss of anticipated savings, loss of data, loss of goodwill, wasted office time and any other loss or damage of any kind, however arising and whether caused by tort (including negligence), breach of contract or otherwise, whether foreseeable or not. However, nothing in these Terms excludes or limits our liability for personal injury or death caused by our negligence or for fraud. Please note that these Terms and all claims relating to them, their subject matter and formation (whether contractual or non-contractual), are governed by English law. Both parties agree that the courts of England and Wales will have exclusive jurisdiction. You acknowledge that all intellectual property rights in the Skill and Alexa, the technology, and the Accounts, anywhere in the world, belong to us or to our licensors, that rights in the Skill are licensed (not sold) to you and that you have no rights in, or to, the Skill, or the technology other than the right to use each of them in accordance with these Terms. You acknowledge that you have no right to have access to the Skill in source code form. You warrant that you will at all times during the course of these Terms comply with the General Data Protection Regulation (EU) 2016/679) (“GDPR”) as and when it becomes applicable on and from 25 May 2018 and all associated legislation, and ensure that any and all use of the Skill complies with GDPR. We can transfer all or any of our rights and legal responsibilities under the Terms without your permission provided any warranties are not affected. Your rights and duties under the Terms apply only to you and cannot be transferred to any other person without our written permission. If we don’t enforce any part of these Terms at any time, this will not stop us from doing so in the future. If any of these Terms are found not to be valid or cannot be enforced in full or in part, the rest of the Terms will continue to apply as normal.